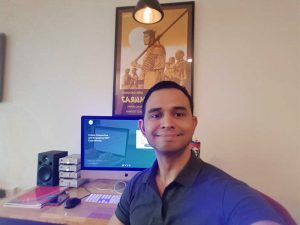 Today we have the pleasure to interview Caleb Rozario, a talented video editor with more than 7 years of experience in corporate, commercial and post-production. Caleb is currently working at Picture Perfect Productions in Singapore, and he has garnered strong experience as a freelancer, working for both private companies and individuals. During this time, he has had the opportunity to develop and nurture his skills and specialise in the post-production phase. From in-house graphic design, to film editing, retouching and visual effects, Caleb has worked across a variety of areas in the video production sphere, and now wholly focused on video editing and post-production. How did you end up working in videos production/editing? I started making and editing videos when I was only 14 as a hobby. Then, when it was time to choose a school, I chose something that I was sure I liked and I started thinking of video production as a job and not something to do in my spare time anymore. How did you hear for the very first time about 360dgrees? I heard about 360dgrees.com almost two years ago when Picture Perfect Productions started a collaboration in order to move from the linear videos to start working on some interactive/dynamic videos. Lately, we have started to use the 360dgrees platform consistently using all the different features, Namely using 360dgrees hotspot technology, which allows the viewer to interact with objects and locations, in order to freely navigate within the 360 experience. 360 experiences the viewer has almost total control. So every possible avenue of movement needs to be considered. And 360dgree’s tools and platforms have been a great help from start to finish of the entire workflow. What do you think about 360dgrees from a professional point of view and from a user point of view? From a product perspective, 360dgrees enable us to have a better control of the videos we are working on. Making them interactive including hotspots and links, the videos became actually something completely different from the flat linear videos we previously produced. From a user point of view 360dgrees is definitely user-friendly and offer a wide range of features which makes our end production very competitive in the market. How do you see the way of producing videos evolving in the next years? What about the way audiences are consuming visual content? We will see the number of videos circulating around us increase, but they will be sharp and shorter. They will increasingly be rich with details, but most importantly they will take the user inside the action. Beyond the WOW factor, they will invite the audience to immerse and” and jump into the video. In terms of a professional point of view, as a consequence of an increasing number of videos, we will be required to be more competitive, flexible and accurate. We are heading to an even more customer-centric era which will challenge every video production business to research for the last trend and to really understand what is engaging and effective. How do you define ”a good video” and what ”good” means to you? If we want to identify the three main characteristics of a ”good” video, we should first clarify between content and technical quality. A good video, in my opinion, should always be short and sharp. Try to keep this as original as possible, and ideally make them interactive, allowing the users to engage with them and not just be watchers, but able to jump into the action. What are the best ways to use 360dgrees? What are the best features? 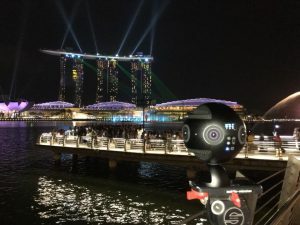 If you are looking to take your 360/VR experience to the next level of interactivity, without having to utilize costly 3rd party custom-built software, 360dgrees is definitely one of the most powerful and user-friendly platforms out there. Tell us something crazy you have done in your life – with videos? One of our more interesting projects would probably be in early 2017, when working together with FOX Sports, we shot and edited five 360° videos for the upcoming. Australian Open in Melbourne. During this time we created five 360° Tennis Master Class episodes, hosted by Paradorn Srichaphan. Both 360 and 2D footage was shot at the same time, with the 2D footage acting as close up popup windows within the 360 experience. Overall it was quite an interesting experience as this was one of our earliest 360/VR productions. Thanks to Caleb Rozario for telling us your story. It is always great to listen to real stories from real people using our 360dgrees platform and hearing compelling insights, particularly from the experts in the field.